I repeat: I shall be attaching a copyright statement to all my future postings. You mean, of course, in your own blogs. That’s fine. It is a fine idea. It is my understanding that what you post on your blog from the U.K. or in your travels abroad, and what I post in mine, is automatically copyrighted, anyway, under current law. Therefore, the only purposes for posting a notice is 1) to remind others, 2) to warn others that you intend to challenge violations or 3) to try and establish sufficient grounds to mount an argument against innocent infringement. None of that applies here, as we will see. It is important to understand how I do things on this blog. First of all I carefully adhere to Fair Use provisions (sometimes called fair dealing in the U.K.) which allows a reasonable amount of quoting for criticism, review, or news reporting. Quoting some paragraphs or a few sentences in order to discuss what someone writes falls under these provisions. I do not quote full articles without permission except when they are press releases or notices that are intended to be copied completely, or unless I have permission to do so. From time to time, I post YouTube videos when embed sharing scripts are provided by the publisher and I always do so with appropriate credit. I never plagiarize by copying or quoting anything with the intent of claiming it is my work. In other words, photographs of the shroud are probably not protected by copyright. Is this fair? Probably not. But the courts have said, in one form or another, that the more accurate the photograph the less copyrightable it is. What about contrast enhancements, ImageJ manipulations, etc. The courts are clear here, as well; “sweat of the brow” is not a “creative spark” which deserves copyright. When you write in your blog that I have pirated your work, what do you mean? I understand it to mean misappropriation or theft of your content. 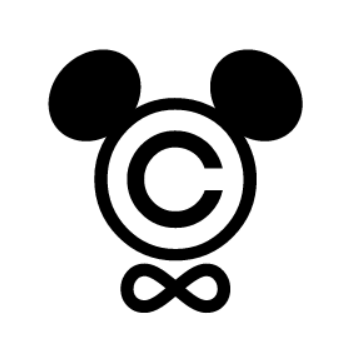 (see Copyright infringement in Wikipedia). What have I stolen. Copyright law, at least here in the U.S. (see U. S. Copyright Office description of Fair Use), and I suspect similarly in the U.K. makes it clear that, “Copyright protects the particular way authors have expressed themselves. It does not extend to any ideas, systems, or factual information conveyed in a work.” So what do you mean when you accuse me of piracy? That [=the notice mentioned in the preceding sentence] will continue for as long as material critical to my ideas appears on this site, notably by third parties in pdf form, where there is no facility for defending one’s work. From that last sentence, your intent is clear. It is called chilling effects censorship. In other words, if I am critical of your ideas you will attempt to use or impose copyright restrictions to stop me from criticizing you or your work product. As a result, were it not for Fair Use provisions of the law, I would find myself with two choices: 1) summarize or sufficiently rephrase what you are saying risking inaccuracy or 2) ignore what you publish in your blog thus meaning you have successfully stopped me from offering legitimate criticism with chilling effects tactics. (See various Scholarly articles for chilling effect censorship, collected by Google). You say, it seems as a way of justifying your tactic, that “there is no facility for defending one’s work.” When I posted the PDF file that seems to particularly upsets you, “The Scorch Hypothesis: New Experiments“ by Thibault Heimburger. I also announced it in a blog posting, The Turin Shroud Image is not a Scorch. That posting, dated April 17, 2014, received thirty comments, but not a single comment from you. You may still do so, however. Comments are not closed on this posting. Note: That gives me a good idea. I will be providing a link for comments on at least those PDF files and videos that I keep in sticky places on blog pages. Thanks, Colin. One cannot have one’s research findings, the product of days or maybe weeks of work, lifted verbatim from one’s own site, . . . Nothing but a few short quotations were used. Your research findings were not lifted verbatim. That is simply inaccurate. Most people are proud to have their work quoted. Moreover I have never met a good scientist who did not welcome frank discussion of his or her observations, hypotheses, discoveries and proposals. Can you show me specific instances of verbatim copying that go beyond Fair Use in fact or spirit of the law? I will happily address such instances.
. . . and then attacked here by third parties who are protected from criticism. No one is protected from criticism on this site, particularly criticism by you. Of the last 1000 comments on this blog, 14.6% were by you. No one had a higher percentage during that period. Overall you have posted 1408 comments in this blog as of this writing. Do we need to read them to see that they are mostly criticisms by you of this or that or someone? There are plenty of other opportunities for you to comment. For instance, you have your own two blogs, one at BlogSpot and one at Word Press, where you have offered plenty of criticism. I have frequently directed others to your blogs thus giving what you have to say plenty of exposure. And, as you certainly must know, you are welcome to submit guest postings for consideration. You have never sought to do so. You know very well how many others have done so and faced significant criticism from you when they do. It’s a clear and flagrant abuse of the internet to have one’s copy used against one in this manipulative fashion. Yes, I too am critical of some of these non-contact models. Others are as well. But we try, not always successfully, to avoid ridicule in lieu of analysis. Word Press, the publishing host service for this blog, provides the following guidelines for Fair Use. They may be helpful for all of us in understanding what is permissible and fair. 1. The purpose and character of the use: Why and how is the material used? Using content for criticism, comment, news reporting, teaching, scholarship or research is usually fair. Additionally, using material in a transformative manner, that is to say, in a manner that adds new expression, meaning, or insight, is also more likely to be considered fair use over an exact reproduction of a work. What’s more, nonprofit use is favored over commercial use. 2. The nature of the copyrighted work: Is the original factual or fiction, published or unpublished? Factual and published works are less protected, so its use is more likely to be considered fair. 3. The amount and substantiality of the portion used in relation to the copyrighted work as a whole: How much of the material is used? If the “heart” (the most memorable or significant portion) or the majority of a work wasn’t used, it’s more likely to be considered fair. 4. The effect of the use upon the potential market for, or value of, the copyrighted work: Does the use target a different market/audience? If so, it’s more like to be fair use. It’s important to note that although criticism or parody may reduce a market, it still may be fair because of its transformative nature. In other words, if the criticism of a product influences people to stop buying the product, that doesn’t count as having an “effect on the market for the work” under copyright law. Fair use is a copyright principle based on the belief that the public is entitled to freely use portions of copyrighted materials for purposes of commentary and criticism. For example, if you wish to criticize a novelist, you should have the freedom to quote a portion of the novelist’s work without asking permission. . . .
Dan: it’s time you desisted from this control freakery. You should cease acting like some kind of Godfather of Shroudology. It’s not simply about the use of other people’s graphics or accompanying (verbatim) text, with no attempt at distilling the ideas in one’s own words. It’s the use of someone’s new research, in this instance the Thermal mode in ImageJ, to serve simply as an accompanying vehicle for knocking copy. What is this, the first paragraph to the previous posting here, if not knocking copy, an attempt to portray me as someone unable to make my meaning clear. I have been criticizing that mantra for some two years, pointing out the small details like the improbability of bilateral symmetry arising purely from chance variation in yarn and its bleaching. there are others too. This has been an ongoing subject for investigation, on and off the back-burner. Forget about “chilling” and all that other legalistic twaddle Dan. I just want you to stop using my content to take casual swipes at me within hours of posting that make no attempt to convey the gist of my case. It’s not about litigating. It’s about elementary courtesy., about not using each new posting of mine as a means of hanging me out to dry. Change your MO, Dan Porter. If you can’t, or won’t, then kindly stay away from my site and STOP cutting-and-pasting my original content. Try coming up with some of your own for a change. (Maybe you’ll then appreciate the time and effort that goes into generating new and original content, and why you wouldn’t want your own Dan Porter following your every movement, leaving a trail of snide and derogatory asides, flagged up under your own purloined graphics. (“Purloined” – now there’s a good word that’ll keep the lawyers busy). I shall be out for the rest of the day. It’ll be a relief anyway to get away from this vexatious site. Colin, I have had extensive criticism of some of my works by right-wing Christian evangelicals, and in some case, outrageous abuse. I have had one star Amazon reviews of books I spent three years writing with the reviewer saying he had given up after two pages because the Lord was not in my heart. In one case I made some historical corrections to a misinformed blog and got virtually wiped off the face of the earth by a so-called professor (who turned out to know nothing at all about the subject being discussed). There was nothing much I could do about it- who do I sue and where, and what damages would I get? Perhaps you could try a test case against Dan- I am sure the lawyers will be pleased to take your money. If you want to contribute to a website where many people disagree with you, then you will get responses that you consider are unfair, as I did in the cases above. It is the nature of internet debate as it is equally open to people who are specialists and people who have no academic background at all. I applaud Dan for keeping things as open as they are -even to sceptics such as myself. The only way I discovered to deal with it was to develop my ideas with as much material backing them as possible, get them published, don’t abuse my opponents,and trust that intelligent readers will support what I am doing. Then if you are confident and behave with integrity you can sleep in peace if there are attacks on you. I believe that based upon Colin’s long winded threat, you should rally reconsider whether Colin is an appropriate contributor to blog comment section. What he wants to do is post his drivel on his blog and then comment here but a critic mustn’t use his words posted on his blog or “ta da” a law suit. Defending a law suit can be an expensive thing, even an unfounded one. I believe copyright law in this country has a two way attorney’s fee provision provision. If so, I wouldn’t worry about Colin, but a threat is a threat. As far as being sued in the UK, such a law suit without a voluntary appearance by you would be fruitless. You would be able to raise any defense available to you in the US when enforcement is sought stateside. Pretty sure he would have to bond any enforcement attempts. That’s curbstone advice but I think generally I have it right. I believe Chapman made a vague threat against me a year or two ago and I responded. Check it out. Somehow or other the subjects of Queen don’t get defamation law right. I wonder if any British court has cited the Peter Zenger case? Colin’s research (minus the undisciplined tirades) is anything but ‘drivel’. I wonder if I would be guessing right that the greatest number of visitors to Colin’s site do so because they’ve read a posting here or linked to it from Dan’s Shroudstory site. Is anyone else out there interested in what he’s doing? Sometimes he comes up with some fascinating stuff. But is anyone else out there listening? He’s getting free publicity from here. Maybe he shouldn’t knock it! Nice “Zinger”, anoxie, that should leave Colin speechless…. Have now read all 7 comments. Am tempted in some instances to take issue on this or that detail, but doubt whether it’s sensible to respond when under the spotlight in this fashion (Dan does love that angle-poise lamp of his). Speaking of whom: I really think he needs to take a holiday from my site. There’s something not quite right in the way he monitors it so closely, with instant ‘splashes’ on whatever I write. The copyright statement stays,by the way, being merely an assertion of my property rights, no more, no less. I have not threatened anyone with legal action. I’ve said it before, and I’ll say it again. My blog is merely a diary of one man’s patient attempt to disentangle the science from the pseudo-science. I’ve discovered enough of the latter to convince me that this self-imposed task is not a waste of time, especially when so many of the old mantras are still being recycled. Regrettably new mantras are arriving too, every bit as inaccurate and misleading as the old ones – see the sidebar for two of them. Polite suggestion, Dan. Take a lengthy break from my site, say 6 months at least. Leave me to get on with what is little more than a Dear Diary sideline, albeit a geekish one. Most of my visitors arrive via search engines. I do not need or welcome the kind of interest shown on this site (with the notable exceptions of Hugh Farey and David Goulet). In any case I’m heading off to the Caucasus and its friendly folk in a couple of days. It will be good to get away from the fractious internet. Colin, it is not about you or your blog. It is whatever “pops up on the radar,” for instance Google Blog Search or news search, etc. If it is public, interesting, not too far off the planet, etc. then I bring it up. It is not about you. If you write about the shroud in public space and because you are making significant contributions, I am going to bring it up. You have some options. Don’t be provocative or interesting. Ask the search engines to not index your pages. Make you blog private. Ignore me. Anyways, enjoy the Caucasus. PS: I see from my diary why I chose not to respond to TH’s second pdf on April 17th this year. I don’t know whether it was deliberate on his part to post the day before the Easter weekend, but more than one commentator congratulated him for his “Easter gift”. There was also the title of Dan’s covering post without use of quotation marks, i.e. The Turin Shroud Image Is Not A Scorch, and another comment from a self-declared ‘sindonologist’ that referred to the “infamous scorch hypothesis”. There is a time and a place for everything, including a serious scientific debate re the merits or demerits of the scorch hypothesis, but that posting of Dan’s was clearly neither the time nor the place. Having said that, I placed two immediate rejoinders on my own site, both of which were overlooked or ignored by Dan, as were the three postings I did in response to TH’s first onslaught-by-protected pdf. Some might think there’s a pattern emerging there. I leave that for others to judge. In fact I left no comments whatsoever on this site between TH’s second pdf on April 17 and early June (yes, I’ve carefully checked). Why not? For the simple reason that my wife and I were away from home staying at a friend’s house in Switzerland for most of that period. While continuing to post to my own site I decided against getting involved in running debates that chained one to the laptop and someone else’s internet connection. Super Professional Looking Poster Banding? Is it Real?